The other day one of my friends advised me to go for a “refurbished computer”. I had been searching for a second hand computer as I was short on budget, but this refurbished computer made no sense to me at all. Somehow, I had more faith on a used piece of equipment than one which had been returned for reasons that included “wrong colour”, “not good enough for personal taste” and “remorse” among others. 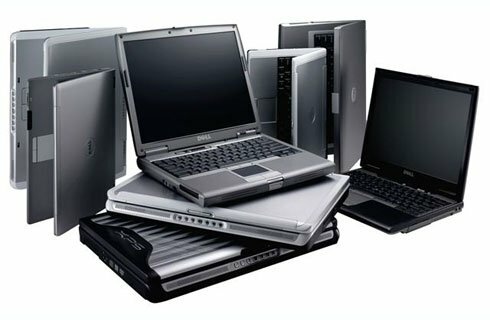 As weird as these may sound, these “returned” computers and laptops offer great value to those with budgetary constraints. Since these computers have hardly been used, they are good as new most of the time and with the lower price tag, it is one of the best deals that you could get into. The mismatch between preferences and the delivered product is not to be blamed always. Sometimes, people may not be aware of the ways in which the computers may be used for ensuring maximum performance, so they return it on the notion that the computer may be defective. The truth is that only 10% of such returned equipment may actually be defective. Even if they are defective, the company takes precautions to rectify the defect and make it good enough for use. You would have to be equipped with a keen set of eyes for finding out the flaws (if it existed). Now, the most luring factor of such refurbished computers is that they are made completely functional (often at par with fresh and out-of-the-box computers) and the price is usually 30 – 60% less than the retail price of a new one. So in a way, you are getting a seemingly fresh product but at significantly low prices, that too being offered with changes being done legitimately by the company. So you can be assured about the quality of the components. However, be advised that going for a refurbished product that has been worked upon by third party refurbishes could prove to be a costly mistake. While it is not guaranteed that they will make a mistake always, but you can never be too sure about them. After all, they are third party entities and they would definitely not have direct access to the original components. There is also the possibility of the lack of required knowhow to get the computer in perfect working condition after refurbishing. For being on a safe side, try to get computers and laptops that have been refurbished by the manufacturers as you could get added assurance of quality standards being maintained for that. So there you have it. Conclusively, it would be safe to say that refurbished computers are definitely good alternatives to the new ones, but only when you are careful about your purchase decisions. These key insights helped me to stay away from being duped into buying an ineffective equipment. So always make sure you do your research before actually going and buying stuff. Hope this was of some help to you.